The Northern Leg just finished up a visit to Nationwide Children’s Hospital in Columbus, OH. 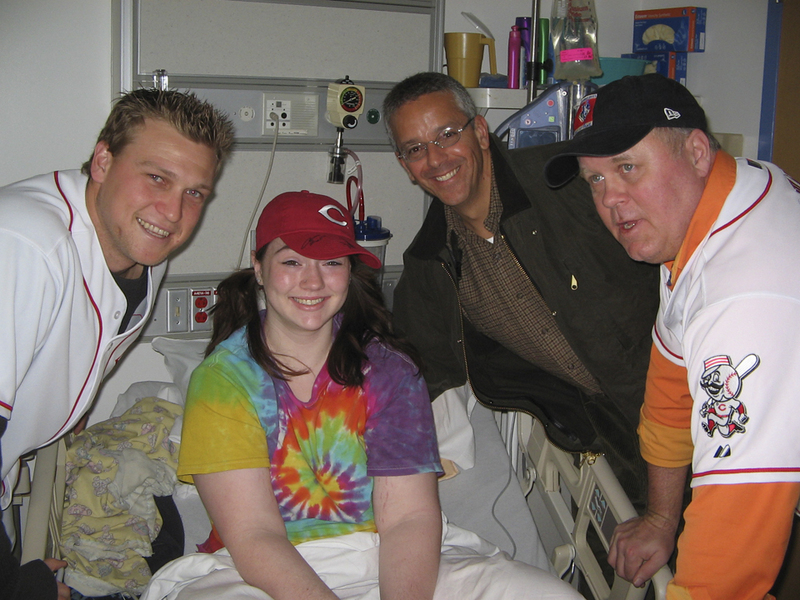 A group consisting of infielder Jeff Keppinger, GM Walt Jocketty and COO Phil Castellini visited 10 kids ranging in age from 3 to 22 in the post op unit. Minor League Player of the Year Chris Valaika, Reds Hall of Famer Tom Browning and broadcaster Thom Brennaman visited a group of preteen children as well, delivering hats and honorary memberships to the Reds Heads Kids Club.